We don't know quite what it's about yet, but later today (9am Pacific, noon Eastern) MongoDB’s CTO and co-founder Eliot Horowitz is making a major announcement at the MongoDB .local Seattle event. You can also set a reminder on Facebook and watch on Facebook Live. If you aren't able to make it for the live reveal, we'll be including a link to a replay and a round-up of the news in next week's issue. ▶ How Meghan Gill Built a Community Around Data at MongoDB — A 20 minute interview with one of MongoDB’s earliest employees. How Hadoop and MongoDB Can Work Together — Including how a Hadoop system can consume data from MongoDB to generate sophisticated analytics and machine learning models. Mongotime: See What MongoDB Is Spending Time On — A sampling-based profiler for identifying patterns of usage, whether or not MongoDB is running your queries fast or slow. How to Build a To-Do App with Node, MongoDB and Vue.js — Bring three great technologies together in this two part series. 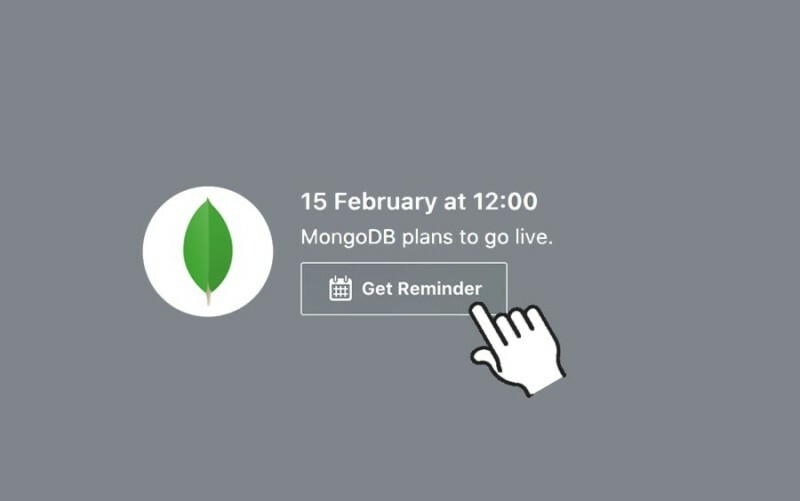 The MongoDB Back to Basics Webinar — Join MongoDB’s Joe Drumgoole next Monday, February 19 for an intro to the worlds of NoSQL and MongoDB. Potentially ideal for other people on your team you want to introduce to MongoDB. Best Practices for Deploying MongoDB on Microsoft Azure — This webinar on March 7 will explore recommended MongoDB deployment topologies and best practices to optimally run MongoDB clusters on Azure. NYC MongoDB User Group – March 6 (New York City) — A popular user group is featuring two talks on MongoDB 3.6's change streams feature. Percona Live – April 23-25 (Santa Clara, CA) — An event dedicated to open source database systems generally. MongoDB World'18 – June 26-27 (NYC) — A huge opportunity to learn more about MongoDB and network with fellow developers. Want to speak? The CFP closes today.